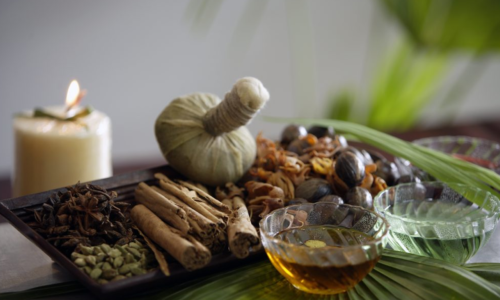 Ayurveda, a unique system developed over Centuries in India became a fascinating thing for the World now. The word Ayurveda means “The Science of Life”. In Ayurveda ,a perfect health is defined as ‘ a balance between body, mind, spirit and social well being ‘. Its primary emphasis is on prevention of disease and maintenance of health. Ayurveda explains various dietary and life style regimens and treatment through various therapeutic measures to preserve health. According to Ayurveda,three body doshas govern our health ( vata,pitta,and kapha).They are often in a state of imbalance due to stress and life style pattern.When these three doshas are not in harmony,we suffer from various diseases.The Ayurveda help us to keep these doshas in balance and promote our health .